I have been postponing writing this post for a while now. So as some of you may know, I am in Lagos and so I used the opportunity to attend KICC Wealth Creation Platform. Wow, what an event. I am so glad I was able to attend. Some of you may wonder why, a “Wealth Creation” teaching in a church, but I believe it’s high time the Church starts talking about this, starts teaching people how to make wealth. Most often times, it’s unbelievers that’s often associated with wealth, and sometimes you envy them. Pastor Matthew Ashimolowo shares my sentiments and said that’s what inspired the program. Mrs, Folorunsho Alakija(Africa’s Richest Black Woman), Kemi Adeosun(Minister of Finance,Nigeria) and Pastor Matthew Ashimolowo were the speakers for the event. Sammie Okposo, Flo, and Nikki Laoye were the guest artists. When Mrs, Folorunsho Alakija walked in, I couldn’t believe I was seeing the richest black woman live. I had goose pimples all over my body. That woman is beautiful, her skin is radiating, she looked stunning; from head to toe. She really spoke well; she talked about how to make wealth and the fact that God wants us to be wealthy. She said something profound, “Have Faith in yourself that if you don’t believe in yourself, even God cannot help you” and “Seek opportunities for a need, think of solving the challenges around you”. I was wowed by Kemi Adeosun, she’s loaded. Sincerely I preferred her talk to that of Alakija. She’s humble, intelligent and she’s truly passionate about Nigeria. One would expect that she doesn’t know what really goes on in Nigeria, but mehn she’s really in touch with happenings in Naija. She spoke on why Nigeria is where it is right now (the recession), and how we can get out of it, the role of the church. She spoke against some known beliefs, like how Christians use spirituality and faith to cover up laziness. She said something profound, “Not everyone can be an entrepreneur, and it’s not something to be ashamed of”. She said if more Nigerians patronise more made in Nigerians goods, we will start getting to the place of development, starting from something as little as apples (lol) that instead of eating apples we should be eating fruits that are homegrown. After listening to Kemi Adeosun, I have so much respect for her, I had never; before then. She’s an incredible woman, very beautiful and she was well dressed. Pastor Matthew Ashimolowo spoke on the principles of wealth creation, why you should own your own company, the laws of wealth creation which include “The Law of Creative mentorship”, and on why we need wealth. One key thing he said is “Lack maybe a dislocation with anointed places anointed people and anointed places” and also said it’s important to combine principles and power when talking about wealth creation. 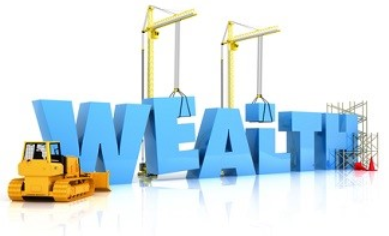 Principles: the how to make wealth, Power: the role of God’s power to make us wealthy. I was really looking forward to Flo’s ministration, unfortunately, he didn’t show up. My God I had no idea Sammie Okposo could really sing, wow he can really sinnnnngggggg. His voice is amazing, his backup singers, and his band is simply out of this world. Their passion is enviable. While listening to them, I was just imagining me having my own band or being in one. I was saying to God, father give me an opportunity to back up for one famous gospel artist. All in all, it was an amazing event and I am really glad I made it. It is actually high time the church handles wealth. We need to start thinking wealthy and stop using some doctrines to cover up our laziness.